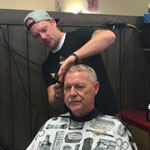 Lennartz Olde Time Barbershop – We are a full service professional barber shop, offering haircuts, straight razor shaves, men’s facial treatments and more! We are a locally owned, full service professional barber shop, offering haircuts, straight razor shaves, men’s facial treatments and more! 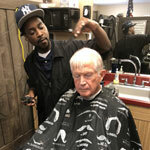 You haven’t lived until you’ve experienced the pleasures of a great shave at a real barber shop. 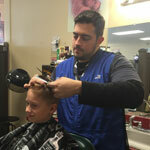 It’s a relaxing, luxurious experience and will give you the best shave you’ve ever gotten. Plus, allowing another person to hold a razor to your neck is a good way to remind yourself that you’re alive.